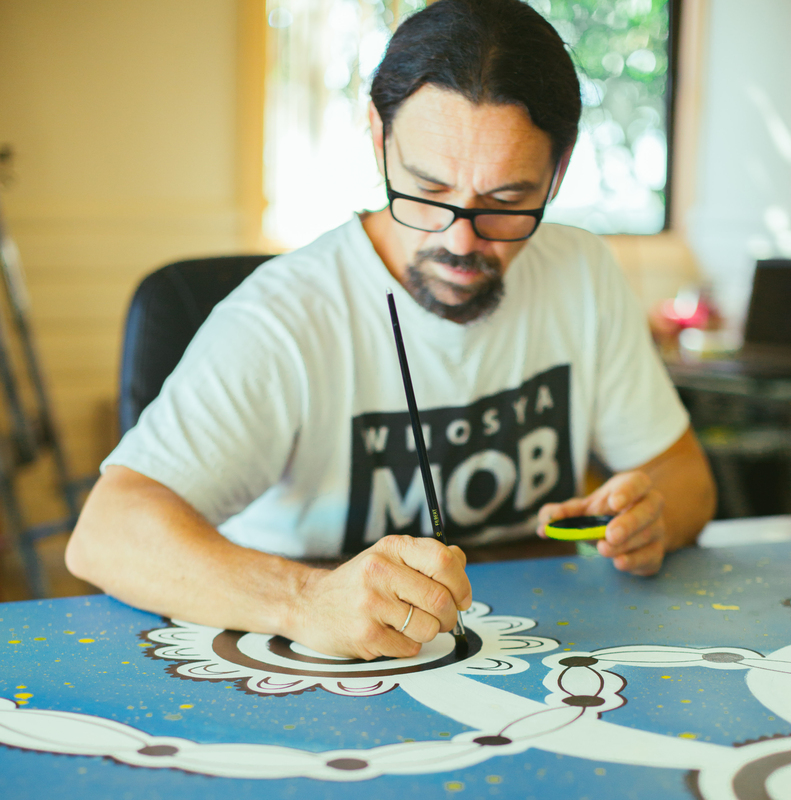 Renowned artist Brentyn Lugnan designing the artwork for the Reconciliation Action Plan. A Reconciliation Action Plan (RAP) provides a framework for organisations to support the national reconciliation movement. MNCCLC’s Innovate RAP focuses on developing and strengthening relationships with Aboriginal and Torres Strait Islander peoples, engaging staff and stakeholders in reconciliation and developing and piloting innovative strategies to empower Aboriginal and Torres Strait Islander peoples. 'Our vision for reconciliation is a culture that embraces unity between Aboriginal and Torres Strait Islander peoples and other Australians as well as a culture that represents equality and equity, historical acceptance of our shared history and removal of negative race relations,' says Catherine Peek, Executive Officer for Mid North Coast Community Legal Centre. The design represents both what the organisation does and where the services are offered. The three areas of Kempsey, Port Macquarie and Taree are represented by the three community symbols that come together at the MNC Community Legal Centre. The legal Centre is symbolized by the circle at the centre which shows people meeting. There is a river running through the design, which represents the freshwater people services by the legal Centre. 'We created our RAP with the vision to make a positive difference within MNCCLC and in the broader community through reconciliation and our RAP sets out our plan for delivering on that,' Aboriginal Engagement Officer Latoya Smith said.